There exists an inherent connective matrix of energy that is the vital force of nature and all Life. This vital energy is all around you. It contains you and supports you. This vital life energy resides within you and sustains you. It permeates all that is: your entire being and that of everything in existence. It is the spark of Life. It is the air you breathe, the water you drink, the food you eat, and the love you feel in your heart. This vital force of nature exists in a state of intelligent perfection. Your body and all Life, therefore, knows how to heal and reach a state of balance. Energy cannot be destroyed. Energy can, however, shift and change. The vital force, your vital force, will naturally seek out balanced perfection and a state of optimal health and well-being. The level and state of your vital energy, and its expression, directly impacts the way you feel. The expression of your vital force can become depleted, blocked, and stagnant. If this happens, you may find yourself feeling exhausted on all levels: physical, emotional, mental, and spiritual. This depleted state supports imbalance and disease. Whether you realize it or not, Gaia provides all you need for Life, healing, and your well-being—you are supported. The key to this connection is coming to know yourself well enough to understand your needs and how to meet them. This empowers you to take action and the steps required to support your state of optimal health and well-being on all levels. The implementation of certain daily practices strongly supports your state of optimal health and natural balance. This provides a strong foundation in which your body and mind may reach a more ideal state of well-being and assist you in restoring natural balance and whole health. It is within this vital state of optimal well-being and expression you stop simply surviving, and begin to thrive. Below I share 6 suggestions with you—all of which build and nourish your vital force, as they also support optimal health and function. Simplicity. Live as simply as you can, removing those things from your life that support stress. Make time for rest and recreation, engaging in those things that bring joy into your life. Sleep. Getting an average of 8 hours of sleep each night gives your body and mind the chance to heal and maintain ideal health. Water. There really is something to drinking those 6 to 8 glasses of water a day! Making sure your body is hydrated each and every day supports balance and best health. Food. A whole foods diet, appropriate nutrition, and eating simply provides your body and mind with the fuel and tools they need to function properly. Physical Movement. Engage in mild to moderate movement each day whether it is, for example, yoga, walking, or biking. Choose some sort of movement to practice 30 minutes each day. Doing so supports circulation of blood and lymph, and keeps things flowing properly. Meditation. 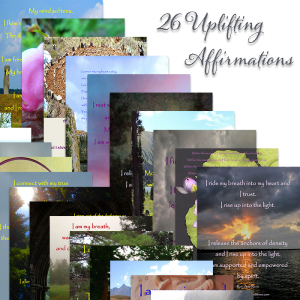 Choose a mode of grounding or introspection that works for you. One you can commit to practice daily, whether it is a 30 minute hike, positive affirmations, or a grounding guided meditation. It is important to implement any changes in your daily routine slowly. Empower yourself and your healing process by choosing nor more than one addition or change per week. Doing so allows you the time to integrate change and sets you up for success. So, whether you choose to take a new yoga class or drink more water each day, be patient and kind with yourself. You will be feeling a greater sense of health and well-being before you know it! Rev. Ann Rene has been meditating since she was a young child. She has over 25 years of professional experience in the art of meditation, teaching meditation, and facilitating meditation groups. Rev. Ann Rene is also the author of numerous guided meditations, some of which may be found in her book, Spiritual Evolution: A Basic Guide to Spiritual Growth and the Ascension Process. 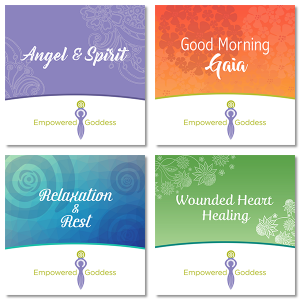 Her extremely powerful and impactful professionally recorded audio guided meditations are also available for download through her website: emowered-goddess.com. Enter your email address to subscribe to the THRIVE blog and receive notifications of new posts by email.